Following the enforcement of Law no. 482/99 dealing with the protection of historical linguistic minorities, minority languages officially entered the activities of Public Administration offices located in the marked-out territories. Some forms of protection had already been provided by Regional Law no. 15/96, but only as far as the local entities were concerned. Law no. 482/99, in particular, entitles any citizen belonging to the Friulian linguistic minority to have relationships with public entities, both verbally and in writing, using their own language. To this end, the law funds the employment of skilled personnel, the preparation of bilingual forma, as well as the training of employees and the development of IT tools that allow for the use of the Friulian language in the relationships with the Public Administration. The law also guarantees the protection of the language through the so-called ‘visual bilingualism’, the preparation of bilingual internal signage as well as the erection of road signs that beside the Italian toponym show the corresponding one in Friulian. The Public Administrations of the territory turned out to be very sensitive to the issues of linguistic protection and, examining the projects carried out so far and the programmes currently under way, it is possible to state that the exploitation of the Friulian language in the administration area is making strides ahead. 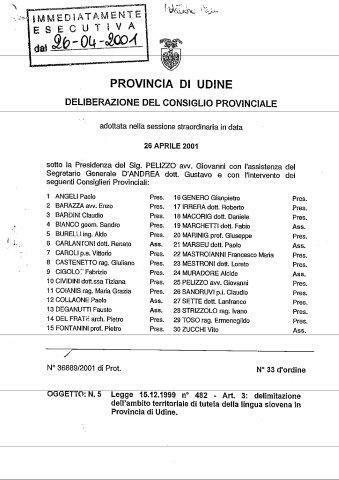 Also the analysis of the statutes of the local entities of Friuli confirms interest for the local language, as the majority of them provides for forms of recognition and promotion. 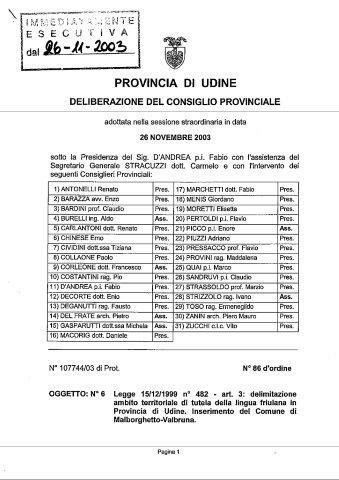 The right to use the Friulian language with the Public Administration was further implemented by Regional Law no. 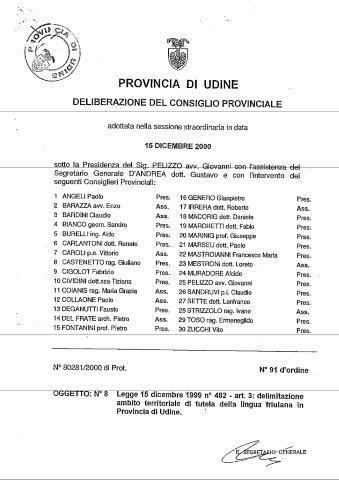 29/2007 (Regulations for the protection and exploitation and promotion of the Friulian language).